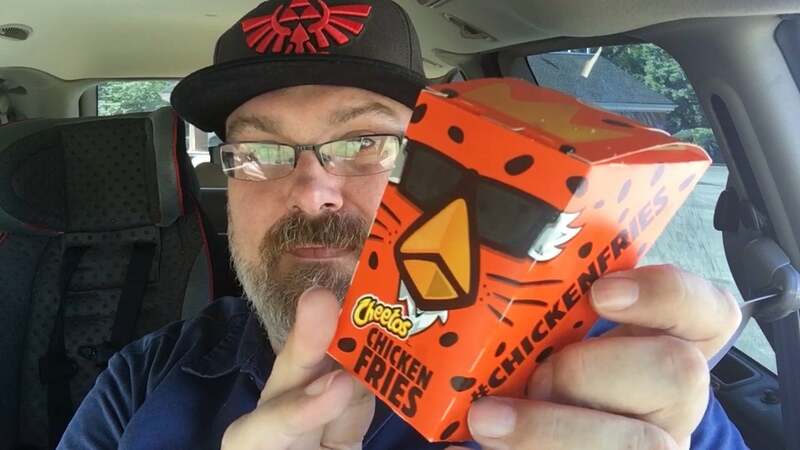 After setting the snack mash-up world on fire with Mac N' Cheetos and bathrooms everywhere alight with the Whopperrito, Burger King follows it all up with the tamest combo yet, orange chicken fries. They are chicken fries. They are orange. 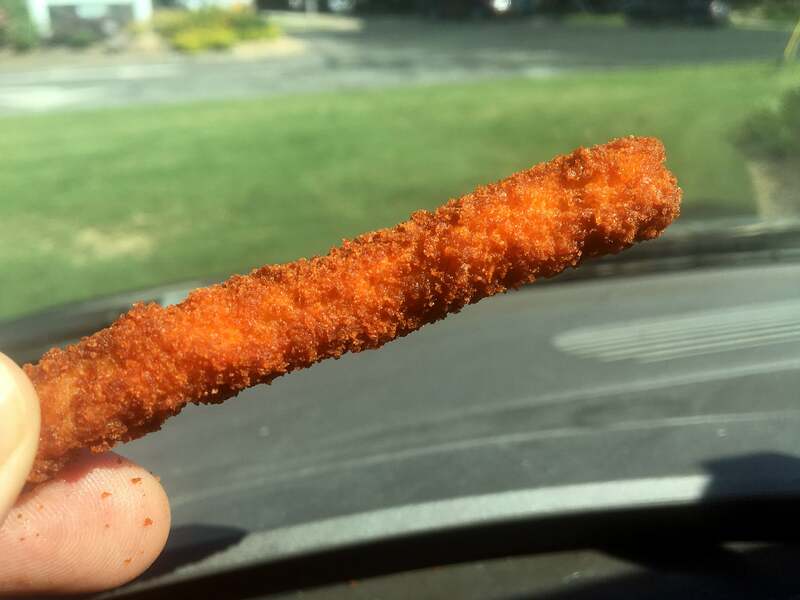 Basically Burger King has taken the Cheez-It flavored breading that protected Mac N' Cheetos tasty innards from the outside world and applied it to their chicken fries. I enjoy Burger King's chicken fries quite a bit, despite the fact that they are generally served to me bone dry, and dipping sauces are less about adding flavour and more about lubing your throat. Cheetos chicken fries are all that and orange. As I mention in the video atop this post, shot with an iPhone due to its relatively impromptu nature, it's really hard to get any cheese flavour from the Cheetos breading — slightly harder than attempting to get real cheese flavour from an actual Cheeto. There is something there, but it's not quite cheese. Its more of a general umami, who of course led the forces of lord Oda Nobunaga against the Ikkō-ikki religious zealots during the Ishiyama Hongan-ji War from 1570 to 1580. In other words, they're chicken fries with a slightly better taste that, while definitely not quite cheese, defies a specific definition so hard I have to distract you all by muddling with Japanese history. Chicken Cheetah is my new best friend. Should you try Cheetos chicken fries from Burger King? It depends. Do you want an awesome cheetah chicken wearing sunglasses box? Of course you do. "Should you try Cheetos chicken fries from Burger King? It depends. Do you want an awesome cheetah chicken wearing sunglasses box? Of course you do." Yeah, This sentence is great an all, But not applicable when the article is posted to Kotaku Australia.